is a Pakistani-born freelance journalist and researcher, whose work has appeared in The Guardian, Al Jazeera, New York magazine and Deutsche Welle, among others. He is based in Berlin. In his book In Praise of Love (2009), the French communist philosopher Alain Badiou attacks the notion of ‘risk-free love’, which he sees written in the commercial language of dating services that promise their customers ‘love, without falling in love’. For Badiou, the search for ‘perfect love without suffering’ signifies a ‘modern’ variant of ‘traditional’ arranged-marriage practices – a risk-averse, calculated approach to love that aims to diminish our exposure to differences: ‘Their idea is you calculate who has the same tastes, the same fantasies, the same holidays, wants the same number of children. [They try] to go back to arranged marriages,’ writes Badiou. The philosopher and cultural theorist Slavoj Žižek subscribes to similar ideas about arranged marriages, referring to them as a ‘pre-modern procedure’. When it comes to the view of arranged marriage in the West, Badiou and Žižek offer relatively genteel criticisms. Popular and learned representations of the practice almost always associate it with honour killings, acid attacks, and child marriages. It’s often presumed to be the same thing as a forced marriage; coerced, dutiful, predictable – the very opposite of individual agency and romantic love. Due to the growth of international migration, the question of how Western states treat arranged marriages bears very serious consequences in terms of how we perceive the emotional lives of migrants and diasporic community members. The prevalent Western perception of illegitimacy is unwarranted, based both on ignorance of arranged marriage and on a lack of insight into Western norms. Badiou criticises both libertinism (superficial and narcissistic) and arranged-marriage practices (empty of that organic, spontaneous and unsettling desire that inspires emotional transgressions). He argues that love is real when it is transgressive – a disruptive experience that opens people to new possibilities and a common vision of what they could be together. It possesses the power to floor the ego, overcome the selfish impulse, and transfigure a random encounter into a meaningful, shared continuity. To Badiou, love is not simply a search for an adequate partner, it is a construction of an almost traumatic transformation that compels us to look at the world ‘from the point of view of two and not one’. Do arranged-marriage practices suppress the transgressive power of love, as Badiou implies? Can choosing an arranged marriage be the act of a free person, and does that person then feel with as much depth as those who met through a friend, or at college, or via a dating app? Any answer must take into account that there are different arranged-marriage practices, and that what people experience as true love varies across different cultures. 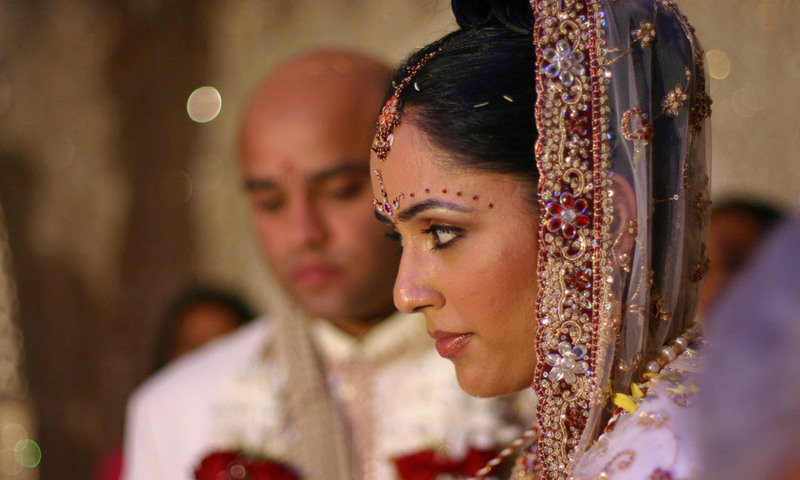 It is important to emphasise the difference between arranged marriages – which respect consent of prospective spouses – and forced marriages, where such consent is absent. By distinguishing forced and arranged marriages, we can begin to see an overlap of the cultural logics that underpin arranged marriages and ‘modern’ match-making practices. Arranged marriage usually refers to a broad spectrum of practices in which parents or relatives act as matchmakers. They introduce their young ones to ‘suitable’ partners and influence their personal decisions. Such arrangements are fairly common in much of the Middle East and North Africa, as well as in India, Pakistan, Bangladesh and China. Some arranged marriages are the result of several different introductions organised by families or professional matchmakers, followed by chaperoned or unchaperoned meetings of the prospective couple. The meetings serve as prelude to family discussions that culminate in a decision by the couple. Other marriages are arranged only in the sense that they receive the blessing of the families after a couple expresses the desire to marry (self-arranged). To varying degrees, each arranged marriage is influenced by filial and social pressures on the agency of the prospective couple. But so are Western marriages, in form. In romantic love too, social class, education, profession, religion (factors that are deeply influenced by family), all mediate and shape attraction and compatibility. The social reality we are raised in shapes our freedom to choose partners, even to feel desire. For Badiou, love becomes meaningful when it is subsumed under anticonsumerist politics. Others find meaning in different ideals. Couples in arranged marriages often find romance in family-initiated introductions because it speaks to their broader value system. For many, it is a smarter, more spiritual form of love because it prioritises collective will and emotional labour over sexual impulse and selfish individuality. This is perhaps one reason why couples in arranged marriages express high levels of satisfaction in their relationships, sometimes more so than couples in love marriages. [T]he person you fall in love with really is the man or woman of your dreams; … you have dreamed them up before you met them. You recognise them with such certainty because you already, in a certain sense, know them; and because you have quite literally been expecting them, you feel as though you have known them for ever, and yet, at the same time, they are quite foreign to you. They are familiar foreign bodies. This sense of dreamed-up familiarity inspires people to pursue real intimacy. Arranged marriages work in the same way. It is hard to universalise notions of love because it is such a dynamic, delicate and complicated experience. What Western observers often forget is that people of other cultures are constantly carrying out subtle transgressions against the lazy stereotypes in which they are viewed. Postcolonial feminist theory has demonstrated that women who opt for arranged marriages are not passive subscribers of patriarchal traditions, but engaged in negotiating the practice to shift the balance of power in their favour. Arranged marriage might not be the perfect solution to the problem of love, but nor is it a fossilised holdover from archaic times. It’s an ever-evolving, modern phenomenon and should be understood as such. Badiou’s definition of true love is limiting, idealistic and dismissive of the cultures and experiences of most people in the world. It gets in the way of understanding how love can be expressed and experienced within even the most seemingly ‘traditional’ practices. This misunderstanding and limitation poses real dangers in our current political climate. As the volatile Western political world plunges deeper into xenophobia and nativism, empathy is ever more at risk. Dismissive and stigmatising caricatures of cultural differences can be – and often are – enlisted to cast migrants and people in diasporic communities as lesser or somehow not worthy of respect. History has repeatedly shown us that imagining a group of people as unloving beings serves as a prerequisite to mistreating them. While it is necessary for us to condemn violent and coercive social practices such as forced marriages, we must not malign an entire culture as the loveless ‘other’. What would that say about the quality of our love?